HomeDIA Inside Out in Wayne! DIA Inside Out in Wayne! Wayne Main Street is proud to announce the return of the DIA’s brilliant Inside|Out Project to down town Wayne. Funded through the Knight Foundation, Inside Out brings masterpieces from the museum’s collection out to the public. This is a great occasion for communities to share in the creative beauty of art in an urban outdoor setting. 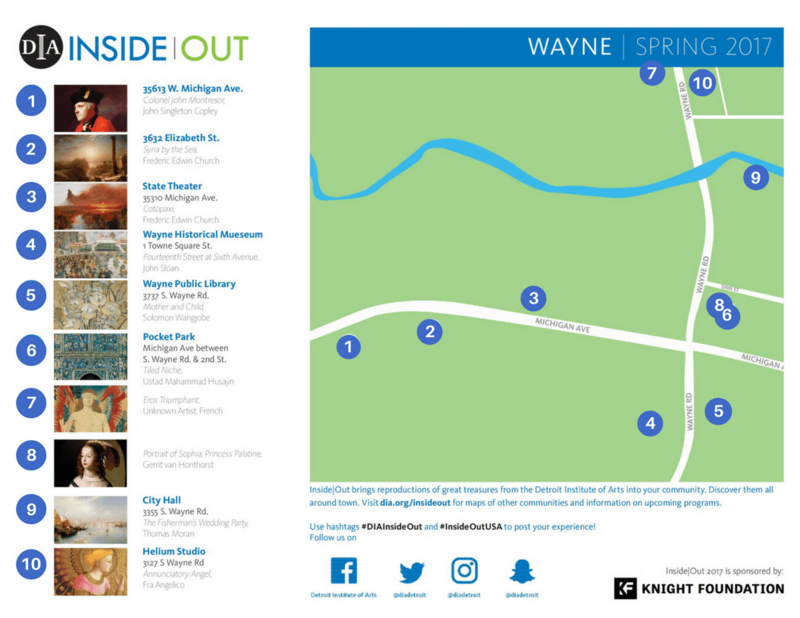 Inside|Out works of art will be on display throughout downtown Wayne from April 13th through July 15th. Don’t miss this rare opportunity to share in the festivities with family, neighbors and friends.